Some uncertainties were pointed out in the previous article "SUSPECTED MISCONDUCT IN RESEARCH PAPERS INVESTIGATED BY OKAYAMA UNIVERSITY"
Of them, determinations about the research papers 1 and 30 in the Main Investigation Committee were especially significant. A point in the research paper 3 indicated as suspicious by the whistle-blowers but determined as unsuspicious in the Preliminary Investigation Committee will be checked below with reference to "tp38" and "Fig. 5A". The following point has been point out simply in the previous article. 1-6) The Committee regarded the whistle-blowers' indication as not reasonable because control bands are generally similar to one another. Whether the control band figures were reused or not should be examined carefully by main investigation. 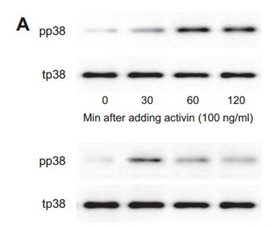 The control bands of tp38 indicated by the whistle-blowers were picked up from the concealed original paper, and compared with each other. The band images closely resemble each other. 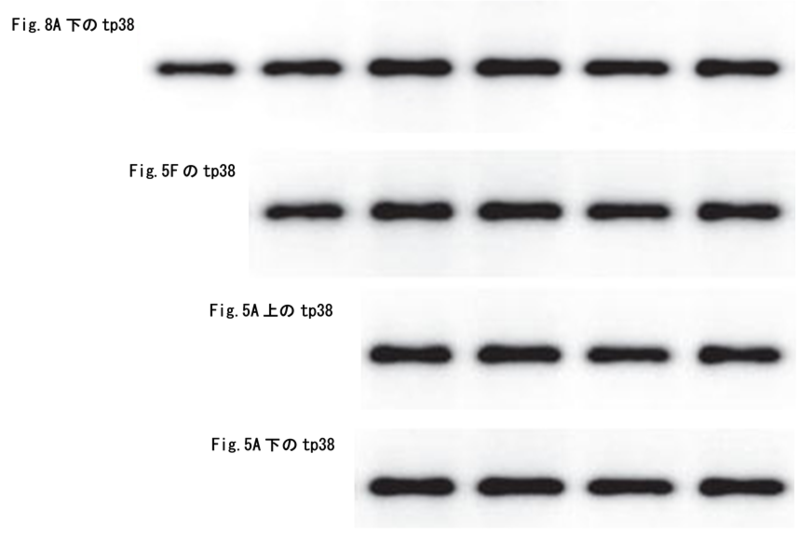 To compare the tp38 bands including the other tp38 bands in the same paper. The tp38 bands have been adjusted in size and arranged as follows. Generally speaking, it is unnatural that the bands resemble one another so closely. Although detailed parts of them do not coincide perfectly, such a difference may be caused by individual adjustment as to brightness, contrast, etc. 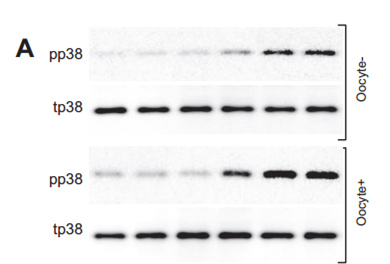 Reuse of the control band images should be suspected strongly. I determine the indication of the whistle-blowers as valid, and recommends Okayama University to bring the indication into the Main Investigation Committee and check it with raw data.